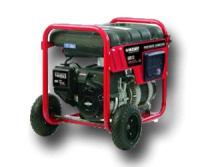 A Generator Rental will fix all your power supply needs to make your party rental great! If you're looking to have a large event with multiple inflatables, or an outdoor event without a power supply a generator rental is what you need! Check out the generators below and click the image or title for a larger photo and more information. Make sure and pair your generator rental with one of our great Bounce house Rentals, so look at our Combo Bouncers page to see some jump house units we have available! We are a full service inflatable company. We deliver, set-up, and pick-up each generator or moonwalk unit for a worry free experience! A full day is considered 6-8 hours, and we will deliver at least 1 hour before your party rental, and up to 5 hours prior, depending on our schedule that day. We will call to confirm your generator rental the day before betweem 5:30 and 8:30pm, we will also give you adelivery time frame. Big Lou's Bouncies prides ourselves in excellent customer service for each of our party rental customers! We strive to make sure each event is a memorable one and a smooth experience from start to finish. We carry a large range of generators, Bouncy houses and water slide rentals to satisfy any of our customers needs. We are fully insured for a worry-free party rental experience. A knowledgable member our staff is able to teach each customer how to operate the generator. Your Generator will come full of fuel and ready to go for the days event. 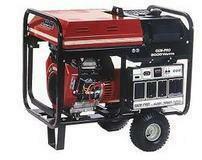 Order your Generator online today! Big Lou's Bouncies is located in Brandon, Florida and serves the surrounding areas including: Riverview, Apollo Beach, Ruskin, Wimauma, Tampa, Valrico, Mango, Lithia, Dover, Temple Terrace and much more! Travel fees may apply in some areas. Give us a call at 813-404-6744 or get a quick quote online!